Summary: This book traces the “American Reformation” of Christianity through the lives of seven key figures spanning the late eighteenth to early twentieth century, in which adherence to creed shifted to the dictates of personal judgment and the focus shifted from eternal salvation to ethical conduct reflecting a quest for moral perfection and social benefit. It seems that part of the American story is that religion and politics have been inextricably interwoven. As I was preparing to write this review, I listened to John Kasich invoke the biblical imagery of “the city on the hill” and many more personal references to faith in his announcement of his candidacy for the President of the United States. Kasich, from what I can tell, represents the reformed/evangelical stream of Christianity in America. 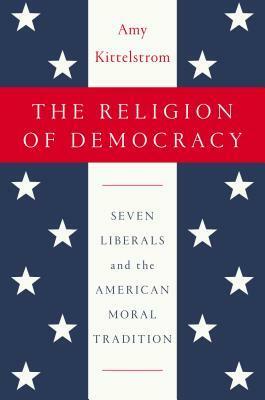 This book represented what might be considered the other major stream in American political life, a stream that is less interested in creed, which tolerates a plurality of belief ranging from a Unitarian view of God to a god within to some form of spiritual consciousness that drives a deep personal quest for moral excellence and ethical behavior that benefits the wider society. In some sense, this stream may incorporate any other religious or secular views as long as they are not insistent upon a particular creed. It is a stream informed by the classical liberal humanism of the Enlightenment which in the twentieth century has been transformed into a social and political liberalism. Each chapter explores the life and thought of the particular individual, and their intellectual circle. This latter is especially important because of the intellectual community each of these individuals sought out. But these communities were not simply about ideas, but also the personal more development of each person. Over time, this is transformed to the social and moral uplift of the poorer, working classes, most evident of course in the work of Jane Addams. A common thread throughout is a religious perspective that prioritizes “personal judgment” over external creeds. Some never embraced these. Some, like Adams, formally identified with churches that did while quietly adhering to personal judgment. And some, like Channing and Addams, moved from Reformed and evangelical roots to embrace this broader liberal perspective. She concludes by exploring the contribution of the liberal religion of democracy over the last century, in its extension of rights to women, racial minorities, and LGBT persons and believes this will continue to be a potent force in shaping democracy’s efforts to advance human rights. I believe this is am important study even though I would disagree at a number of points with what I think is the implicit creed of “the religion of democracy”. It exchanges a Triune God of Holy Love for the “god within” and salvation and the obedience of faith for moralism, among other things. Yet, whatever your take on “the religion of democracy” it is important to understand the intellectual hegemony it has achieved, the intellectual community it has fostered, and the public rhetoric of equality, tolerance, pluralism, and inclusion that has captured the American imagination. Kittelstrom’s book is an important contribution to that understanding.